Free shipping on orders AUD80.00 and over. 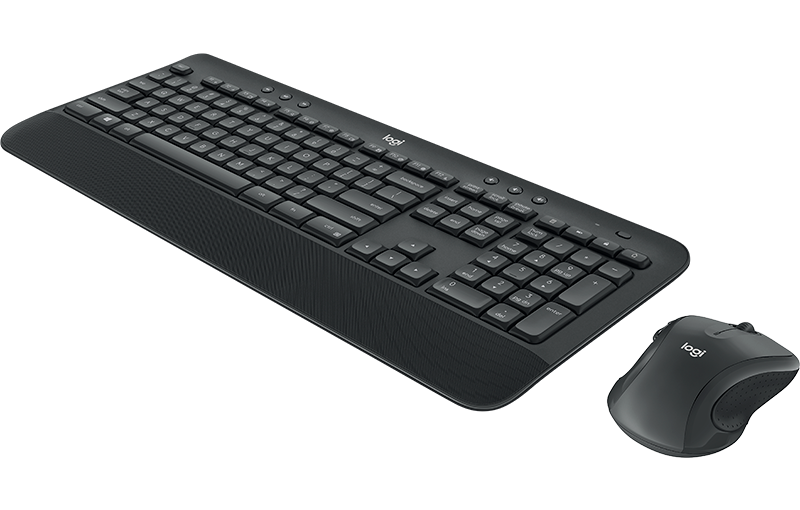 The MK545 Advanced is an instantly familiar wireless keyboard and mouse combo built for precision, comfort, and reliability. 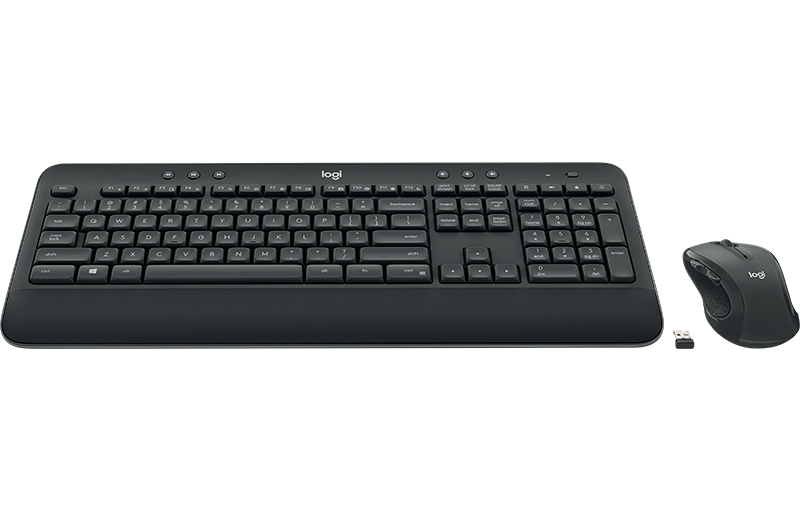 The full-size keyboard features a familiar key shape, size, and feeling – and the full-size, contoured mouse provides comfort for hours. Connect your keyboard and mouse with one tiny Logitech Unifying™ USB receiver. You’ll get a reliable – and encrypted – wireless connection up to 10 meters away with virtually no delays or dropouts. The keys have been optimized for improved accuracy and reduced noise – and your fingers will immediately feel at home on the familiar key surface and layout. The textured palm rest and adjustable tilt legs keep you comfortable for long stretches at the desk. The wireless mouse’s contoured shape and soft rubber side grips are designed to fit comfortably in your palm. 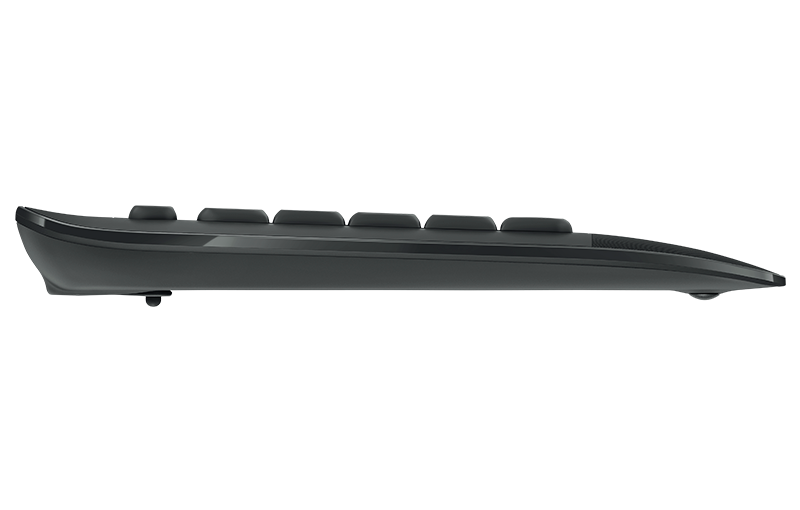 Laser-grade tracking, side-to-side scrolling, and back/forward buttons keep you in command. Convenient and essential hot keys give you direct access to media, calculator and battery check functions. 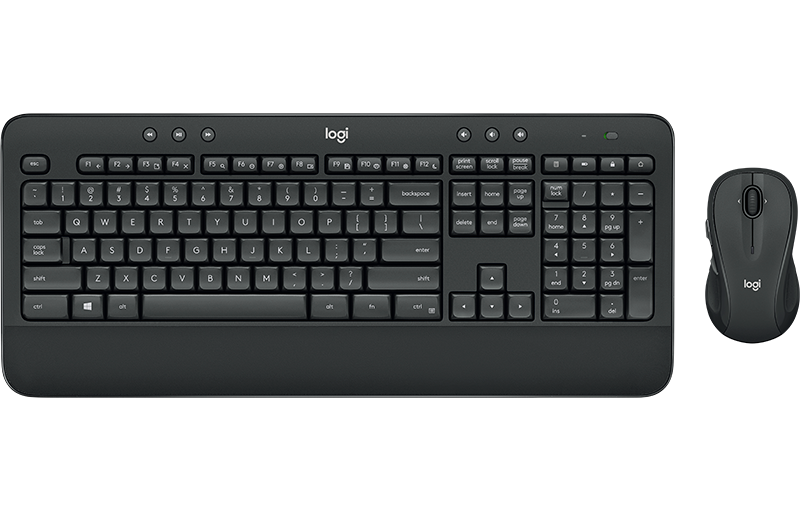 Preset Fn keys can even be personalized in Logitech Options to meet your specific needs.